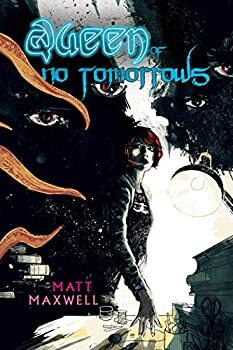 Matt Maxwell is the creator/writer of the western/horror comic series STRANGEWAYS, which has been ongoing since 2008. He is also the author of the recent short story collection Tug on the Ribbon and Other Stories, which ranges from magical-realist near-future SF to the dark and smoky, Luna Sangre, which blends science fiction and fantasy, and Crunch Time, which is a blackly humorous look at office life in the time of the zombie apocalypse. At one time or another, he was a digital animator and visual effects artist, an office monkey in a university thinktank, the guy who got jammed quarters out of your arcade machines, direct-mail stuffer for a televangelist you’ve probably been spammed by, teacher of 3D animation and thanatology (though not at the same time), has driven across the US once that he remembers and knows where to find the last of the wild V-8s. CLICK HERE FOR MORE STORIES BY MATT MAXWELL.